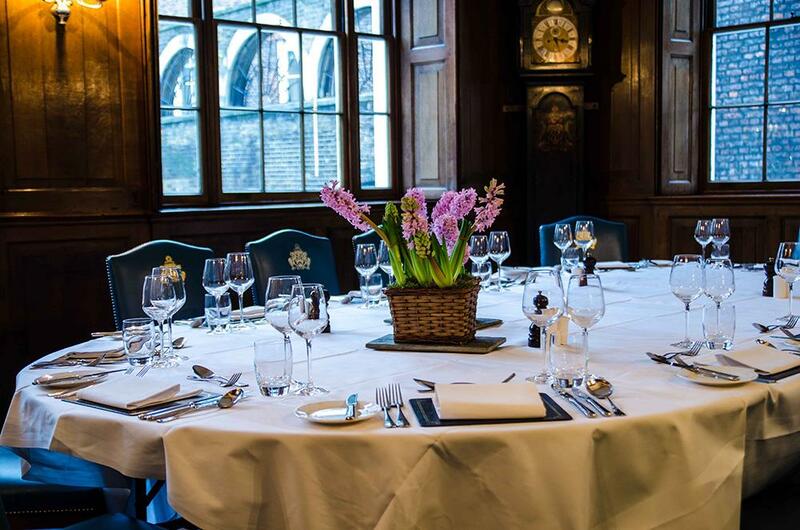 Herbert Berger three times winner of the coveted Michelin star has taken over all the catering at Innholders Hall, with three stunning event spaces we are able to accommodate a wide variety of events. 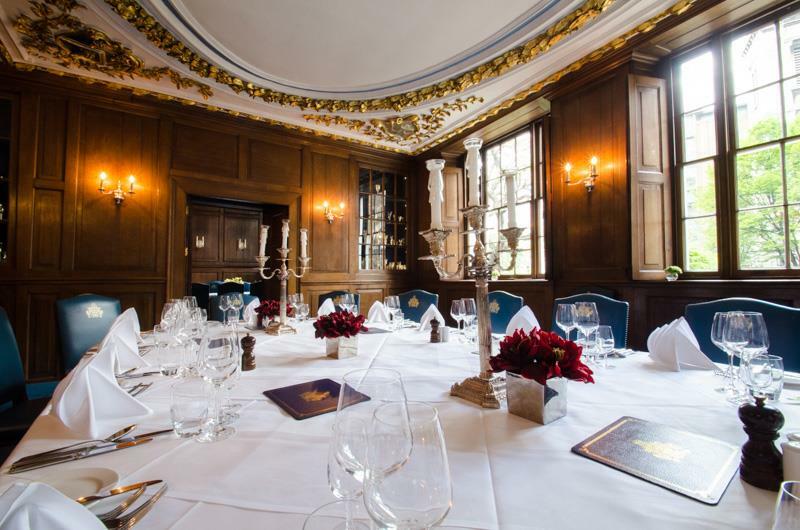 Steeped in 17th century history yet with 21st century facilities the three stunning event spaces are able to accommodate a wide variety of functions. 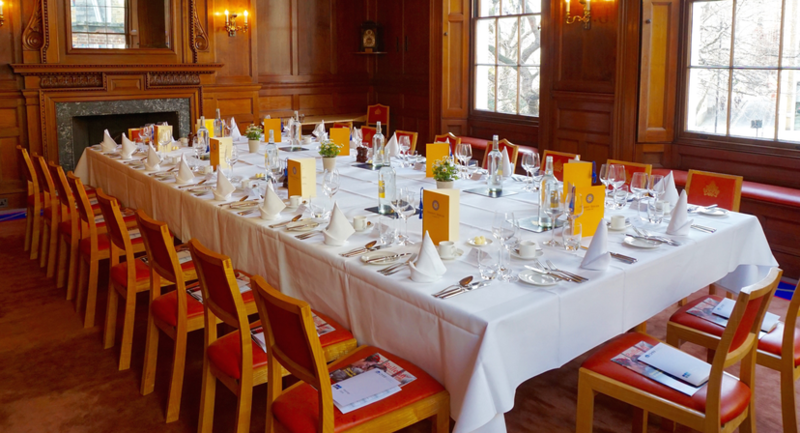 From corporate breakfast meetings to lunches, buffets, canape receptions, dinners as well as conferences, exhibitions, wine tastings and family events such as wedding breakfasts and birthday celebrations. Our dedicated Events &Marketing Manager Elena Leva is able to tailor any event to your bespoke requirements ensuring a unique and memorable experience in the home of hospitality. 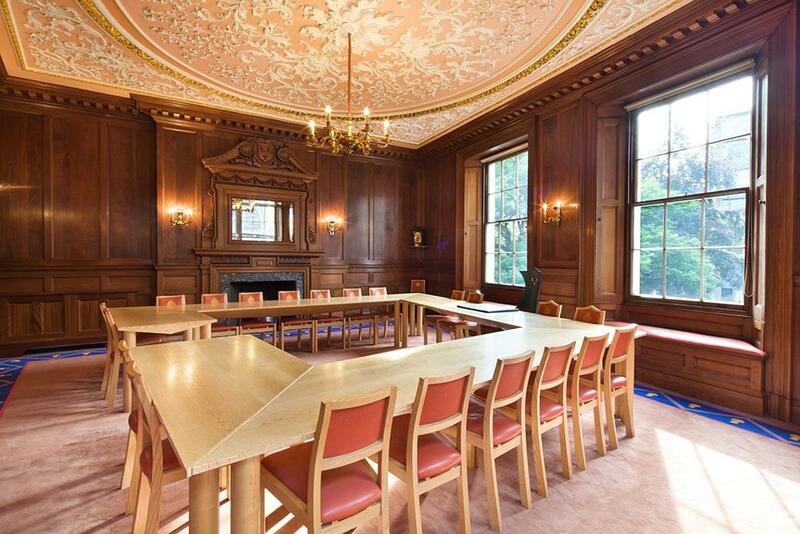 The New Court Room, suitable for conferences, board meetings, breakfast and lunch presentations as well as dinners for up to 30 people, is a wonderful amalgam of traditional panelling and twenty-first century furnishings. 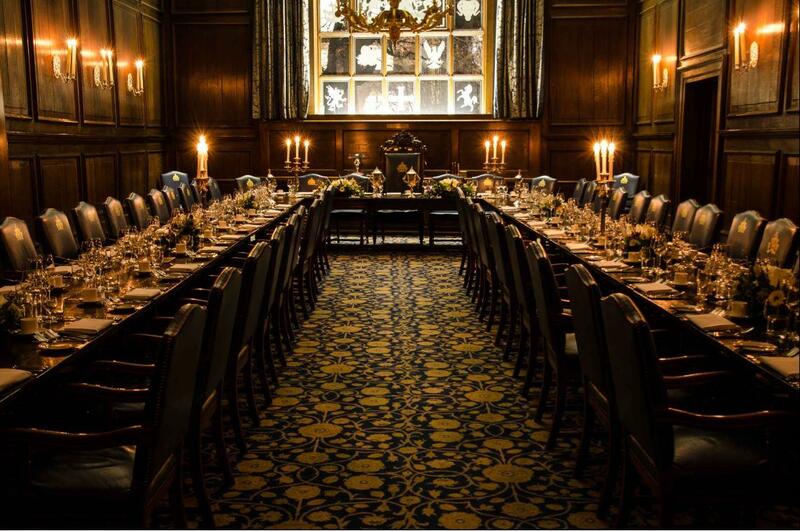 To celebrate the Millennium the Innholders commissioned John Makepeace to design and make a set of tables and chairs and a carpet to complement the furniture. The Hall is richly panelled in oak, the original cladding dating from 1670, with subsequent renovations and restoration - the most recent in 1941, following bomb damage. 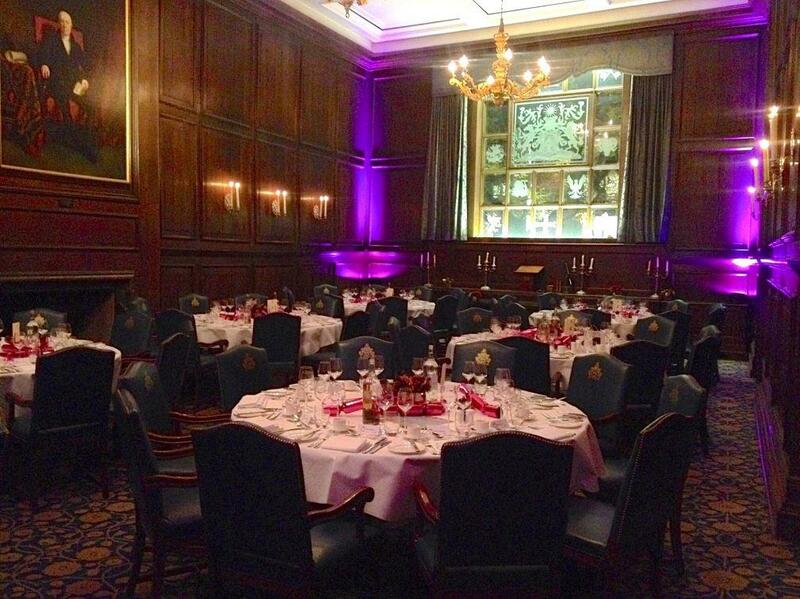 Leading off the Reception Area, the Old Court Room is situated on the ground Floor and is an ideal size for small meetings, for entertaining guests at a reception or for holding a dinner for up to 30 people. 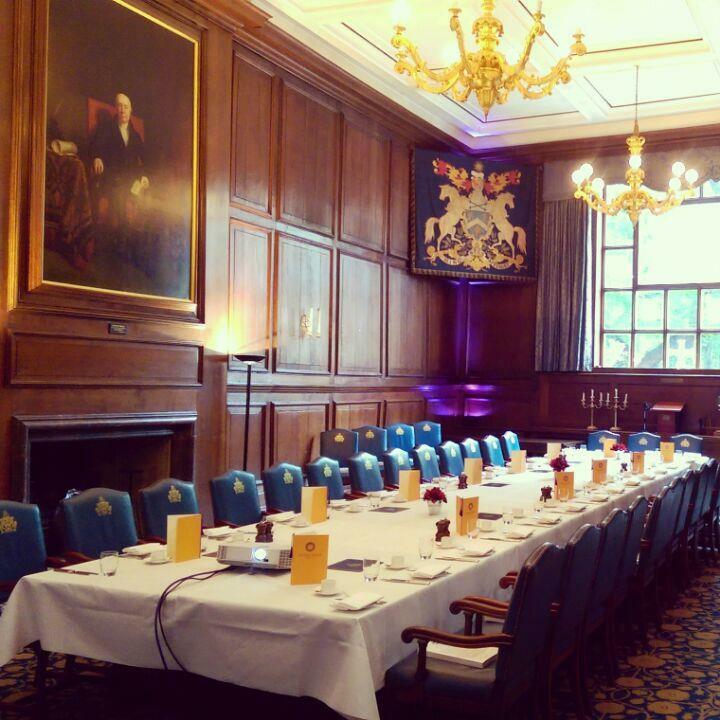 It is also a great venue for small breakfast and lunch presentations. The room boasts a wonderful plaster ceiling, dated 1670 and a rare example of the domestic plasterwork from the Restoration period. It has a central oval moulding of fruit with spandrels at each corner, one containing the date 1670, the other the City’s red cross of St George, the arms of the Company and those of the sovereign, Charles II respectively. There is a 17th century minstrels’ gallery, originally sited across the north-east corner, but now re-positioned centrally on the east wall. The Hall is richly panelled in oak, the original cladding dating from 1670, with subsequent renovations and restoration – the most recent in 1941, following bomb damage. There is a 17th century minstrels’ gallery, originally sited across the north-east corner, but now repositioned centrally on the east wall. 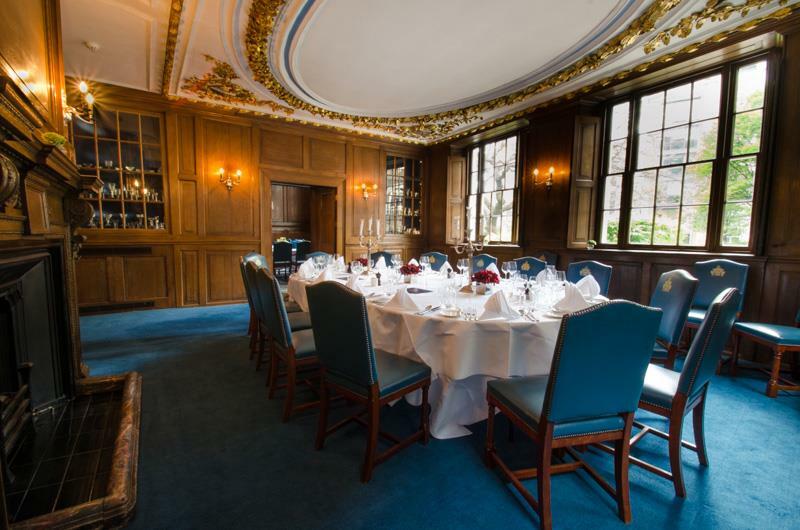 This traditional private dining room boasts stunning views across Cannon Street park. It has a rare selection of members silver spoons dating back to the 1500’s and original glassware. The gold trimmed ornate ceiling dates back to 1670. 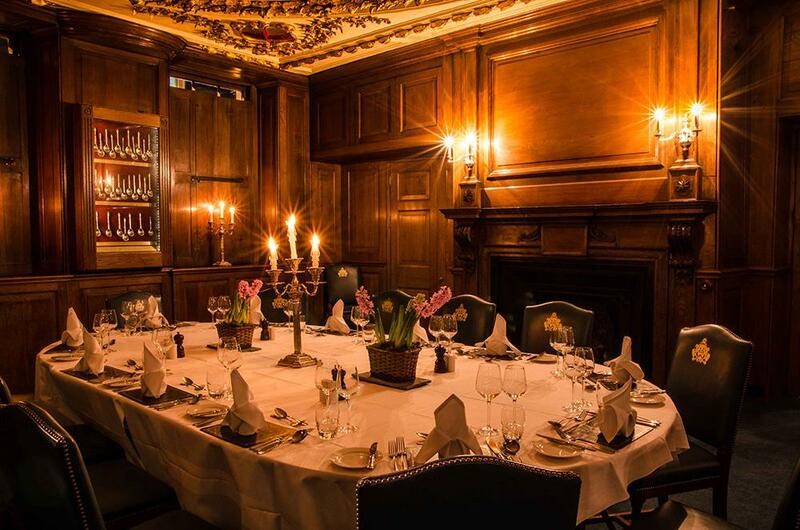 This dining room is situated on the first floor with its own lavatories and cloakroom and is extremely private. It boasts stunning views across Cannon Street park. 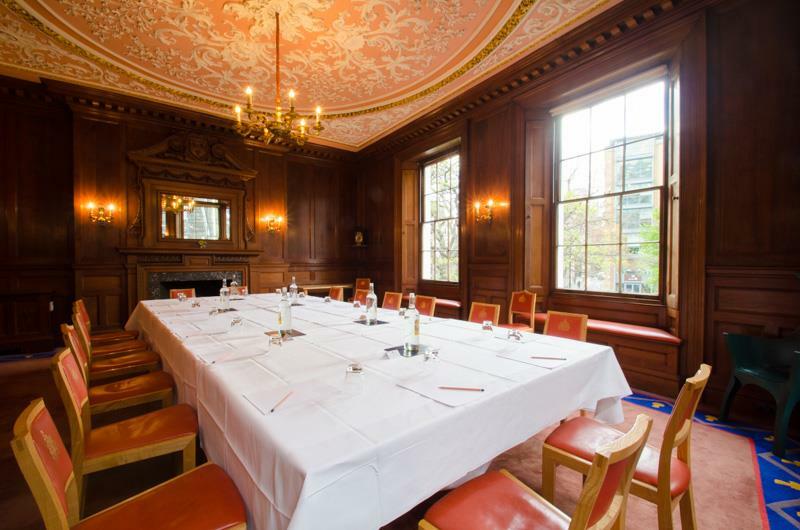 Bathed in natural daylight, the room is extremely popular for smaller breakfast and lunch meetings as well as intimate dinners holding up to 22 boardroom or 30 u-shape. It also has its own Wi-Fi.